In a long-awaited decision hailed as a victory for college diversity but which critics assailed as a harmful to its intended beneficiaries, the Supreme Court on Thursday decided — 4 to 3 — to uphold the use of race-conscious affirmative action in college admissions. While the opinion — written by Justice Anthony Kennedy — settles the case formally known as Fisher v. The University of Texas at Austin, no one harbors any illusions that the ruling puts the kibosh on future challenges to the limited use of race in deciding who gets into college. Still, the case gives institutions of higher education a reprieve — or what one advocate of affirmative action described as “breathing room” — to use race as a small factor as they seek to form future incoming classes of freshmen that are diverse — something that supporters of race-conscious affirmative action say is essential to the nation’s body politic, its workforce and its future leaders. “This decision finally gives universities a chance to move forward with a critically important effort that could not be more important than it is today,” said Sherrilyn Ifill, president and director-counsel of the NAACP Legal Defense and Educational Fund. The case was brought by Abigail Fisher, a White woman denied admission to UT-Austin and who argued unsuccessfully — twice — that the university’s use of race in admissions was the reason why. The opinion reiterated that a university cannot impose a fixed quota or define diversity as “some specified percentage of a particular group or merely because of its rate or origin,” and that it must have a “reasoned, principled explanation” for its decision. As a practical matter, Ifill and a number of scholars say the Supreme Court’s decision signals that the “race-neutral” alternatives that Fisher argued should be used in college admissions would function as an ineffective way to achieve diversity and that race is still necessary to accomplish this end. “Race-neutral alternatives are not effective substitutes for the use of race as one factor of consideration in college admissions,” said Stella M. Flores, associate professor of higher education and director of access and equity at the Steinhardt Institute for Higher Education Policy at New York University. “These alternatives have not worked and today’s decision given by Justice Kennedy affirms the strong research evidence on this matter,” Flores said. 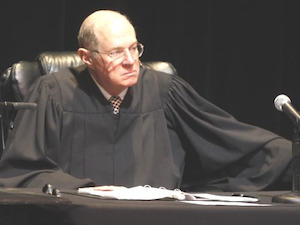 Indeed, in writing the opinion — which is legally binding since a majority of the court signed off on it — Kennedy criticized Fisher’s argument that simply raising the cap on the state of Texas’ Top Ten Percent Plan would make UT-Austin’s college admission policy more race neutral. Plus, the judge noted that the university lacks the authority to alter the Top Ten Percent Plan in the first place. The plan guarantees college admission to any public university in the state to students who gradu­ate from a Texas high school in the top 10 percent of their class. Fisher was not in the top 10 percent of her class. One of Fisher’s fatal flaws in her case was that she didn’t challenge the Top Ten percent plan, and that she essentially accepted the plan the court found. Regardless, it may not have mattered. Kennedy continued: “A system that selected every student through class rank alone would exclude the star athlete or musician whose grades suffered because of daily practices and training. “It would exclude a talented young biologist who struggled to main­tain above-average grades in humanities classes. Kimberly West-Faulcon, the James P. Bradley Chair in Constitutional Law at Loyola Law School in Los Angeles, said Kennedy’s decision represents a “significant departure” from his previous decisions in affirmative action cases. “This is momentous,” West-Faulcon said. “Justice Kennedy has finally found a racial affirmative action policy that he was willing to endorse. “This is a significant departure from every racial affirmative action case Justice Kennedy has decided to date,” West-Faulcon continued, referring to Kennedy’s votes against affirmative action policies in two higher education cases — Grutter and Gratz — as well as other cases. “Kennedy has not only sided with the University of Texas, he has said ‘considerable deference’ is owed to the state university,” West-Faulcon said. “This is a major ruling for universities because this is the first time a Kennedy opinion has used language about ‘equal treatment and dignity’ in the context of race,” she said, referencing a specific passage in the opinion. Matthew Chingos, a senior fellow at the Urban Institute, also expressed surprise at Kennedy’s ruling. Chingos said he was pleased the word “mismatch” did not appear in the opinion. In anticipation of the Fisher ruling, the Georgetown University Center on Education and the Workforce issued a statement that took a similar position in light of the fact that justices — including most recently the late Justice Antonin Scalia — have previously focused on mismatch theory. Anthony P. Carnevale, director of the Georgetown Center, said facts show otherwise. “We’re holding qualified students back, particularly minorities, saying they can’t succeed when in reality, they indeed can,” said Carnevale. The Georgetown Center conducted an analysis that shows placing average students in the nation’s best colleges and universities will increase their rate of graduation by 26 percent. “The data shows that three times more students are qualified to attend the top 468 universities than actually go to them,” said Jeff Strohl, director of research at the Georgetown Center. For college admissions officials, the ruling provides meaningful guidance on just what it means for the use of race in college admissions to be “narrowly tailored to achieve” the educational benefits that flow from diversity. At the same time, the opinion recognizes that a delicate balance must be achieved when it comes to achieving diversity without using quotas, which have been prohibited in previous decisions. “It is the University’s ongoing obligation to engage in constant deliberation and continued reflection regarding its admis­sions policies,” Kennedy wrote. Kennedy’s ruling prompted a lengthy dissent from Justice Samuel Alito that was more than twice as long — 50 pages — as the 23-page opinion. “This is nothing less than the plea for deference that we emphatically rejected in our prior decision,” Alito wrote. He also complained that UT-Austin failed to define just what a “critical mass” is and to show whether African-American, Hispanic or Asian American students are likely to enroll in classes in which minority students are underrepresented — which was one of the things the university had argued as a reason for using race in admissions. Critics of the ruling said proponents of affirmative action should not take much comfort in the ruling.